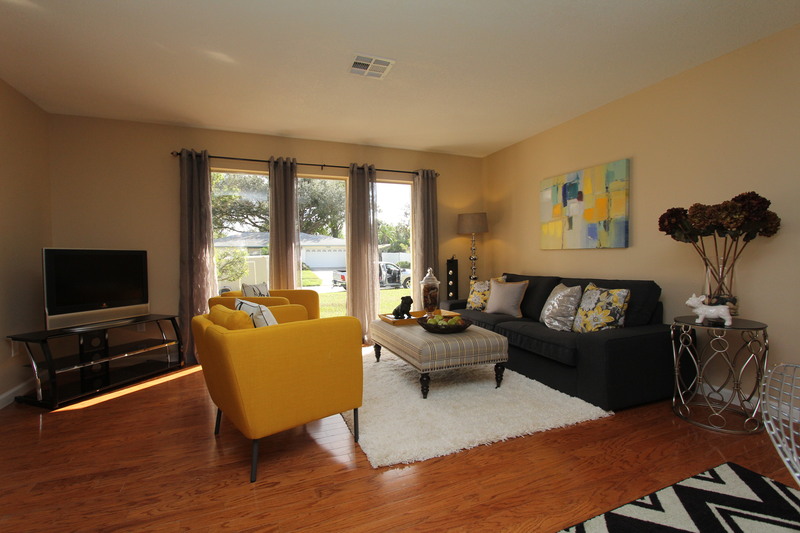 Just staged in Winter Park: A small house with a big attitude – Realtor (R) Michelle Forbes just completed the renovation of this gorgeous 3 bedroom 2 bath home in Winter Park. The update included a gut renovation of the bathrooms and the kitchen, among other cosmetic improvements. The result is tremendous. 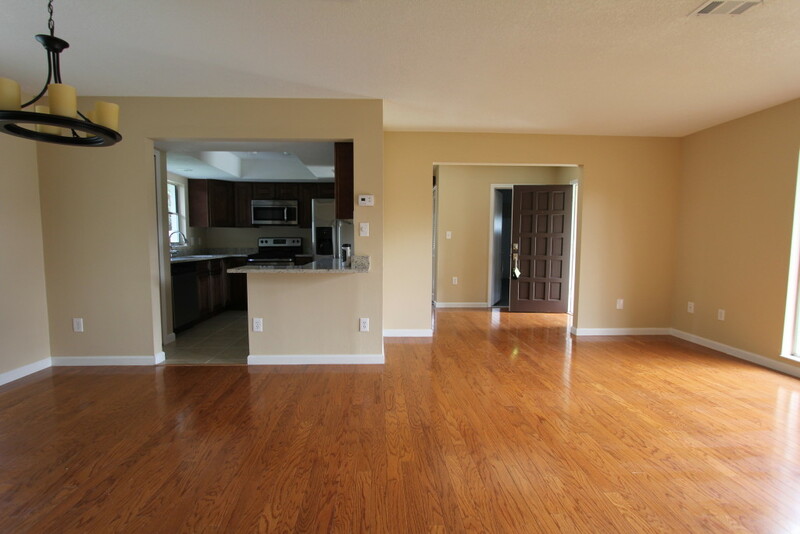 This house offers fantastic features with its granite counters, new high quality cabinetry and great fit and finishes. The staging for this cozy split plan home provided exactly what this house needed. It shows how the floorplan can be utilized without infringing on important traffic space. A small house can have it all; it just needs to be designed correctly. The 3 seater sofa with its modern lines offers comfort and style. We added accent chairs that do not have wide armrests. It is a great way to add seating without using a lot of space. The chairs are quite comfortable and provide a perfect scale for the room. 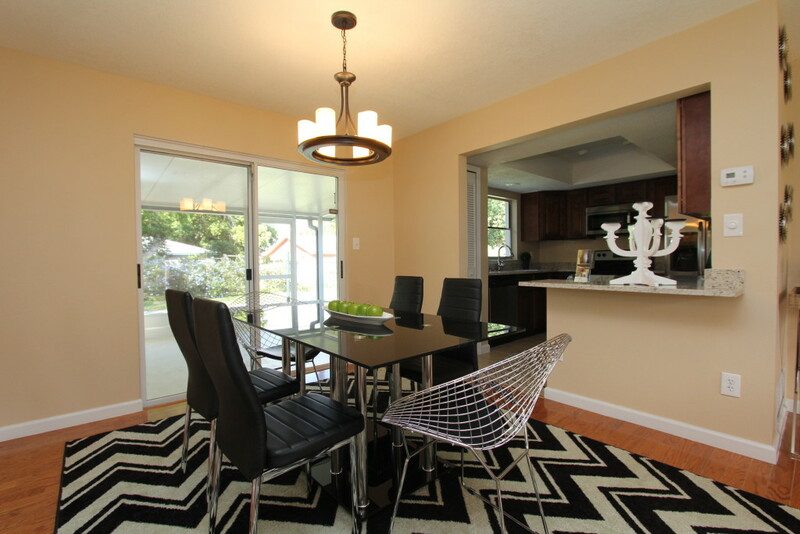 The dining table seats six and demonstrate that this home is ready to entertain guests. The secondary rooms are nice sized and we set one up with a queen bed and one with a twin bed. 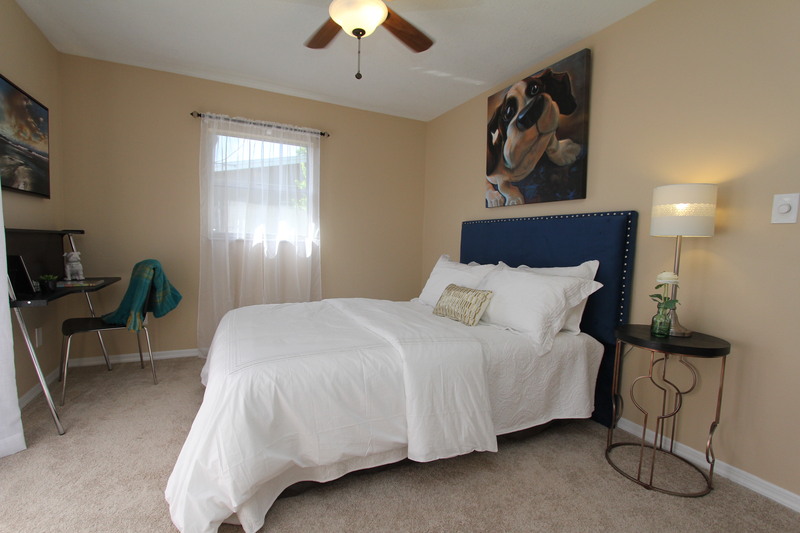 The master suite boasts a king size bed with room to spare. This house looked small before the furniture showed how the rooms scale really translate. Now we can demonstrate that a little over 1200 sq ft can have a great impact. It is not about sheer size but more about what you do with the room. There is a national trend to downsize while some families even consider tiny houses. 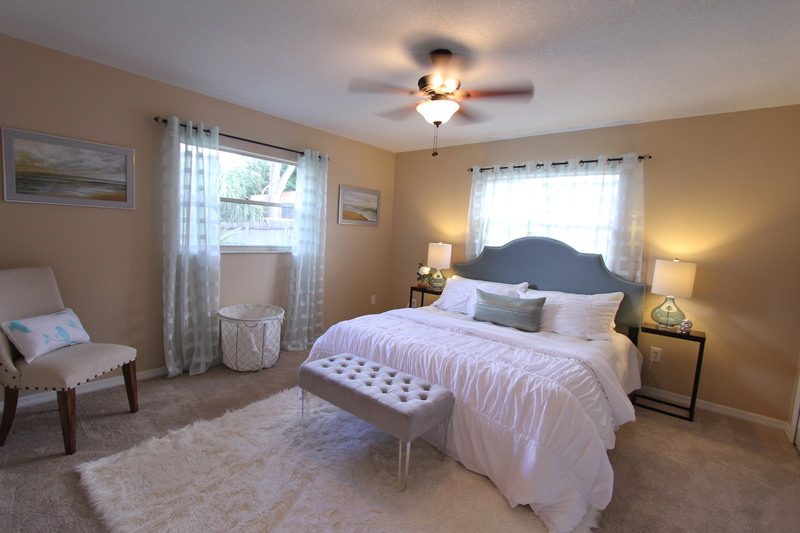 This beautiful home in Winter Park shows that less can be more and one does not have to live cramped and without style. This staging brings out the fabulous side of the house, and is proof that one does not have to spend a million dollars to own a stylish abode with a Winter Park address. A king size bed and still plenty of room in the master suite. Before: Do we have a dining room? This empty space leaves question marks about the usability of the living area. 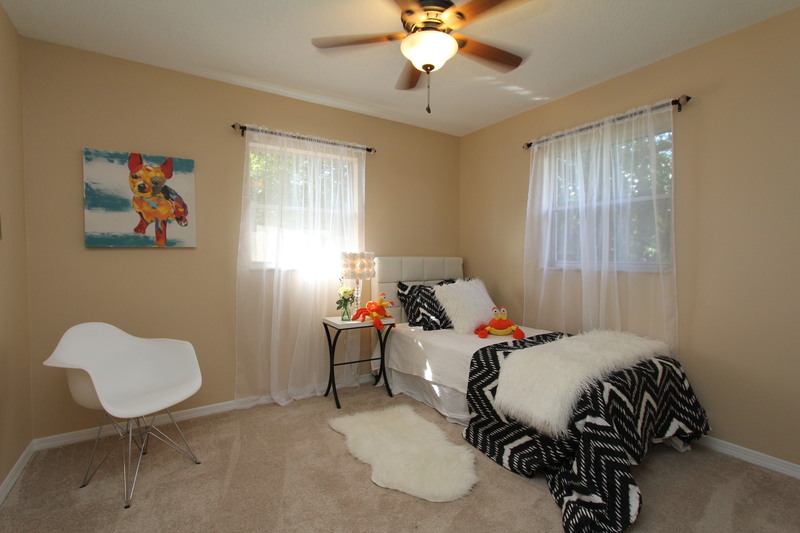 A twin bed and some kid friendly decoration will make this bedroom a hit. A cozy guestroom with a desk space – who does not want to come and visit here? 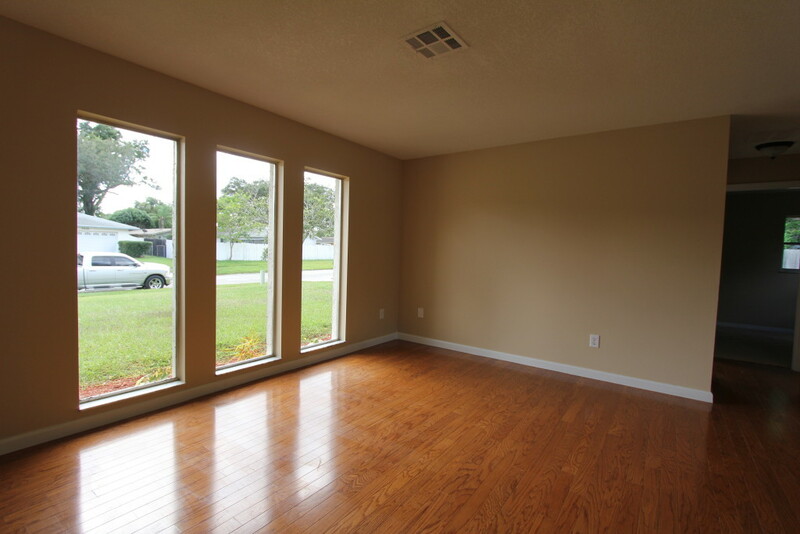 Before: The empty room looks small because it is missing furniture that helps the viewer grasp the scale of the space.